Let’s be honest: Smartphones aren’t necessarily thought of as devices that help to slow the spread of sexually transmitted diseases. In fact, research has found that transmission rates go up when hookup sites – even ones on the tamer end, like CraigsList – come to town. But smartphones are also capable of transforming into competitive diagnostic tools, as a team of biomedical engineers out of Columbia University is showing with their new attachment that can detect both HIV and syphilis in a single 15-minute test. The dongle, as the team writes in the journal Science Translational Medicine, costs just $34 to make (an amount that could drop further if mass produced). It uses the phone’s power and data collection, and incorporates simple optics and fluid control to process a finger prick of blood. The smartphone dongle uses a scientific test, ELISA commonly performed in clinical laboratories with equipment that costs almost $20,000 USD. The website at the University of Arizona contains an interactive animation displaying the clinical immunology of the antigen/antibody test for HIV. Can we measure the value of patient-centered care? Please join us as we discuss this question and related topics during our next Great Challenges online event focused on “The Role of the Patient.” Moderated by Boston NPR Health Care Reporter Martha Bebinger, our multi-disciplinary group of experts will discuss the rise of patient-centered care, explore how we can standardize its measurement to encourage evidence-based policy changes, and touch on what those potential policy changes might look like. In the past, healthcare providers dispensed medical care with little questioning by patients; the role of the patient was to listen and follow “doctor’s orders.” Today, however, many agree that in order to arrive at the best outcomes, care must be shaped by what is valuable and meaningful to each individual patient. But can we quantify the efficacy of this approach? As we encourage patients to take an active role in the doctor-patient encounter and as patient-centered care becomes more widely adopted, how will we know when we’ve achieved success? Is it possible to standardize measurement of patient-centered care to build a solid evidence base? And how can we ensure that such an evidence base leads to broad-based policy changes that support more and better patient-centered care? Join us for a live online event Thursday, February 26 at noon EST to discuss these issues and more with experts on the topic. The U.S. Food and Drug Administration has released guidelines for mobile health apps, and soon will have enforcement power to eliminate scams such as this one. Smartphone and tablet users should be wary of mobile health apps whether they are on iOS or Android. The potential marketplace is enormous globally. Euro regulators will also be surveying offerings from vendors as well. If you’re worried about melanoma, head to the doctor — not the app store. On Monday, the Federal Trade Commission announced it has cracked down on two companies that charged customers up to $4.99 for apps that claimed to help them detect early signs of melanoma. You get the idea. According to the FTC, the app makers had no evidence to provide support for their apps’ claims that they could assist consumers detect melanoma, which is a form of skin cancer. The Mole Detective app first appeared in 2012 and was marketed by a U.S. company while MelApp appeared in 2011 from a U.K. firm. The apps sold from $1.99 to $4.99 in the Apple and Google app stores. A search of Apple’s app store shows both apps have now disappeared, and a search for “melanoma” turned up no results. In an announcement Monday, the FTC states marketers of MelApp and Mole Detective acted deceptively in claiming the apps can detect melanoma symptoms based on photographs a consumer uploads to the app. Two of the four companies involved with the apps have agreed to stop making unsupported and unsubstantiated claims. "Truth in advertising laws apply in the mobile marketplace," said Jessica Rich, director of the FTC's Bureau of Consumer Protection, in the announcement. "App developers and marketers must have scientific evidence to support any health or disease claims that they make for their apps." The settlement with New Consumer Solutions prohibits the vendor from claiming an app can detect or diagnose melanoma unless the claim is supported by "competent and reliable scientific evidence in the form of human clinical testing of the device." It prohibits the company from making misleading or unsubstantiated health claims about a product or service, and includes a $3,930 fine. The FTC is pursuing a litigated judgment against non-settling defendants Lasarow and his company. In regard to MelApp, marketing began online in 2011 by Health Discovery, which sold the app for $1.99. The FTC settlement bars the company from the same stipulations cited for New Consumer Solutions. The settlement prohibits Health Discovery from making any other misleading or unsubstantiated claims about a device's health benefits or efficacy, and includes a fine of $17,963. The FTC decisions were split votes, with a dissenting vote issued by Commissioner Maureen Ohlhausen in both cases. Potential buyers must be aware of scams in mobile health apps. General health information apps have no regulatory oversite. However remote monitoring and wearable technology will require certification by the FDA, FTC and other agencies as yet unknown. The mhealth industry has to deal with Blurred Lines during this relatively early period of development. Before the Federal Trade Commission or Food and Drug Administration tackle another mobile health technology investigation, the two federal agencies--both of which are charged with protecting consumers--need to huddle up in a conference room, lock the door and not come out until they produce a clear map of what they're responsible for when it comes to oversight and regulating such tools. Why? Because right now it's getting quite difficult to figure out who's keeping on eye on the shallow end of the mobile health technology pool and who's watching the deep end. And anyone who's had a pool or spent time at a public pool know that a lack of supervision at either end can lead to potential disaster. the FTC describes itself as working "for consumers to prevent fraudulent, deceptive, and unfair business practices and to provide information to help spot, stop, and avoid them." The FDA, for its part, describes its focus as being "responsible for protecting the public health by assuring the safety, efficacy and security of human and veterinary drugs, biological products, medical devices, our nation's food supply, cosmetics, and products that emit radiation." That may be all well and good, but it really doesn't answer the big question: Is the FTC going to be the one and only lifeguard when it comes to the mHealth technology pool. Additionally, what role, if at all, will the FDA play as more mHealth cases come to light? 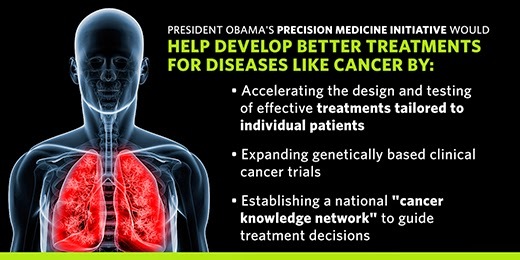 Several weeks ago President Obama declared this the new era of 'Precision Medicine'. In reality precision medicine has existed for decades. Several areas include blood transfusions. Blood is serotuped to minimize the possibility of transfusion reactions by matching blood tupes between donor and recipient. The same applies to transplants, kidney, heart-lung and other organs. If you need glasses, you aren't assigned a generic pair. You get a prescription customized for you. If you have an allergy, you get tested to determine exactly what you're allergic to. Genomics has been added to the specificity testing of disease and therapy. Oncology (cancer treatment has become specific to cancer antigens and the development of targeted immune therapy. The drug ivacaftor treats the underlying cause -- not the symptoms -- of a particular genetic variation of cystic fibrosis. A variety of cancer patients are now routinely undergoing molecular testing as part of their care -- and their doctors are choosing treatments based on this information. Physicians at the University of Michigan 3D-printed a personalized tracheal splint that saved the life of a critically ill infant with a weak trachea. President Obama's message describes the coordinated effort between government, hospitals, clinicians and research scientists to harness our new tool to combat some diseases. Right now, most medical treatments are designed for the average patient. Enter Precision Medicine: health care tailored to you. Far too many diseases do not have a proven means of prevention or effective treatments. We must gain better insights into the biology of these diseases to make a difference for the millions of Americans who suffer from them. Precision medicine is an emerging approach for disease treatment and prevention that takes into account individual variability in genes, environment, and lifestyle for each person. While significant advances in precision medicine have been made for select cancers, the practice is not currently in use for most diseases. Many efforts are underway to help make precision medicine the norm rather than the exception. To accelerate the pace, President Obama has now unveiled the Precision Medicine Initiative — a bold new enterprise to revolutionize medicine and generate the scientific evidence needed to move the concept of precision medicine into every day clinical practice. CMS is beginning to 'flesh out' new payment models by selecting Cancer and Oncology as a test bed. The model appears to be similar to a baseline prepaid and capitated model, with an incentive paid for quality outcomes. A great challenge will be converting from the FFS system to one based on quality of care. Prepaid models emphasize cost saving by providers in order to maintain profitability. "The Center for Medicare and Medicaid Innovation (CMS Innovation Center) is developing new payment and delivery models designed to improve the effectiveness and efficiency of specialty care. Among those specialty models is the Oncology Care Model, an innovative new payment model for physician practices administering chemotherapy. Under the Oncology Care Model (OCM), practices will enter into payment arrangements that include financial and performance accountability for episodes of care surrounding chemotherapy administration to cancer patients. The Centers for Medicare and Medicaid Services (CMS) is also seeking the participation of other payers in the model. This model aims to provide higher quality, more highly coordinated oncology care at a lower cost to Medicare. Cancer diagnoses comprise some of the most common and devastating diseases in the United States: more than 1.6 million people are diagnosed with cancer each year in this country. A majority of those diagnosed are over 65 years old and Medicare beneficiaries. Through OCM, the CMS Innovation Center has the opportunity to achieve three goals in the care of this medically complex population: better care, smarter spending, and healthier people. The goal of OCM is to utilize appropriately aligned financial incentives to improve care coordination, appropriateness of care, and access to care for beneficiaries undergoing chemotherapy. OCM encourages participating practices to improve care and lower costs through an episode-based payment model that financially incentivizes high-quality, coordinated care. The CMS Innovation Center expects that these improvements will result in better care, smarter spending, and healthier people. Practitioners in OCM are expected to rely on the most current medical evidence and shared decision-making with beneficiaries to inform their recommendation about whether a beneficiary should receive chemotherapy treatment. OCM provides an incentive to participating physician practices to comprehensively and appropriately address the complex care needs of the beneficiary population receiving chemotherapy treatment, and heighten the focus on furnishing services that specifically improve the patient experience or health outcomes." Another CMS goal is to provide a model for private insurer payments. OCM encourages other payers to participate in alignment with Medicare to create broader incentives for care transformation at the physician practice level. Aligned financial incentives that result from engaging multiple payers will leverage the opportunity to transform care for oncology patients across a broader population. Other payers would also benefit from savings, better outcomes for their beneficiaries, and information gathered about care quality. Payers who participate will have the flexibility to design their own payment incentives to support their beneficiaries, while aligning with the Innovation Center’s goals for care improvement and cost reduction. Medicare Fee For Service (FFS) OCM incorporates a two-part payment system for participating practices, creating incentives to improve the quality of care and furnish enhanced services for beneficiaries who undergo chemotherapy treatment for a cancer diagnosis. The two forms of payment include a monthly per-beneficiary-per-month (PBPM) payment for the duration of the episode and the potential for a performance-based payment for episodes of chemotherapy care. The $160 PBPM enhanced care management payment will assist participating practices in effectively managing and coordinating care for oncology patients during episodes of care, while the potential for performance-based payment will incentivize practices to lower the total cost of care and improve care for beneficiaries during treatment episodes." "All practices and payers who wish to apply for participation in OCM-FFS must first submit a non-binding letter of intent (LOI). LOIs for interested payers are due by 5:00 pm EDT on March 19, 2015. 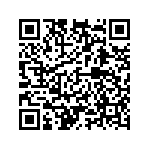 LOIs for interested practices are due by 5:00 pm EDT on April 23, 2015. LOI forms are available for download (see Additional Information below), and will only be accepted through the Oncology Care Model email inbox at OncologyCareModel@cms.hhs.gov. Practices and payers that submit timely, complete letters of intent (LOIs) will be eligible to submit applications:"
A webinar introducing the core concepts of OCM, including application instructions, will be available to the public from 12:00 – 1:00 pm EST on February 19, 2015. Advance registration is not required. For additional information, please visit the Oncology Model webinar page. This OCM pilot program may well forecast the proposed model for other disease entities. Oncology is a 'wastebasket terminology that attempts to describe a wide variety of tumors ranging from malignant melanoma to cancer of the breast. Thus far it does not seem to address cancer diagnosis, surgical treatment, radiation treatments and/or novel immune therapies. Much like the Pioneer ACO program this is a test bed or pilot program. Hopefully CMS will evaluate this for several years prior to rollling it out. As of October 2014 CMS released a more complete picture of Pioneer ACO Results . These ACO-level data reflect the range of experiences across Pioneer participants. Some ACOs have sustained positive performance to date, while others have seen diminishing rates of return. Those organizations more committed to clinical transformation, patient outreach, and organizational change may be more likely to do better, but further analysis of differences in performance could enable the Pioneer Program and ACOs to achieve bigger impacts over time. "It is hard to know what the third performance year of the Pioneer program will show, but as noted earlier, the Pioneer Program has already lost over a third of its original 32 participants. Despite the decline in participation and mixed results so far, CMS remains optimistic and committed to the program, and the overall number of Medicare, Medicaid, and privately-insured individuals in ACO arrangements continues to rise. We can anticipate a proposed rule impacting the MSSP, likely later this Fall, which will impact elements of the Pioneer ACO program. Regulatory changes that may help increase the ability of the Medicare ACO programs to support better care while ensuring sustainability include: adjustments to attribution methods, benchmark calculations, collection and sharing of data with ACOs, updating performance measures, linking to other ongoing payment and delivery reforms, and creating more financial sustainability for program participants. The current Pioneer program can be a key step toward effective payment reform, but further steps are needed to assure long-term success." It is likely the new model for payment will have mixed success. This approach requires an integrated system and experience in measuring performance. Small groups and practices face many obstacles, and will be disadvantaged. And so the leaders of “organized medicine” (AMA) are on board with policies that will lead to the destruction of private medical practice, which depends completely on the much-maligned fee-for-service payment mechanism. Perhaps they don’t fully comprehend the implications of what they are endorsing. The fee-for-service private medical system has been the bedrock of American medical care. Far from driving up costs, private medicine is the one part of the system holding down costs. The never-ending regulations and hurdles from third-party payers, both private and governmental, impose costs in a private medical office. A direct pay (non-third-party) medical practice is a model of efficiency. A patient visits the doctor and pays directly for the visit at the point of service. No bill to an insurance company is generated (though the patient may choose to submit a claim). Personnel dedicated to billing, obtaining various prior authorizations, and following up on denied claims, are eliminated. Richard Amerling, MD (New York City) is an Associate Professor of Clinical Medicine and an academic nephrologist at Mount Sinai Beth Israel in New York. Dr. Amerling received an MD from the Catholic University of Louvain in 1981. He completed a medical residency at the New York Hospital Queens and a nephrology fellowship at the Hospital of the University of Pennsylvania. He has written and lectured extensively on health care issues and is President of the Association of American Physicians and Surgeons. Dr. Amerling is the author of the Physicians' Declaration of Independenceand is a seasoned speaker and on-air contributor. 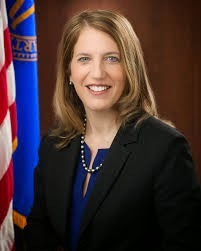 "Health and Human Services Secretary Sylvia Burwell has unveiled a major initiative to push Medicare physicians and other medical professionals out of fee for service (FFS), which pays based on specific services rendered, and into alternative payment models (APMs). Before deciding that all Medicare providers must abandon Medicare fee-for-service, the Obama administration should make sure they have somewhere else to go." Early studies and pilot programs reveal that APMs are exceedingly difficult to implement and there are few indicators that it will improve quality of care. Bundled Payments (BP) and various Pay for Performance (P4P) programs that emphasize aggregating payments and making doctors and other medical professionals accountable for the quality as well as the cost of patient care. The goal is better quality, more efficient health care." "But make no mistake: the results to date on the performance of APMs do not support the administration’s enthusiasm. For example, a 2014 RAND study that extensively reviewed the performance of APMs found little, if any, effect in terms of quality improvement or cost reduction. In a separate report, “Modern Healthcare noted that, “The launch and operation of Medicare ACOs has been somewhat rocky, exposing flaws that some experts and providers worry will undermine participants’ ability to succeed." According to early Centers for Medicaid and Medicare Services results, less than half (54) of the initial 114 organizations that participated in ACOs achieved savings and of those, just 29 saved enough money to receive “shared savings” bonuses. In addition, for the 29 participating pioneer ACOs (more experienced organizations), the results showed that only nine achieved significant savings. In addition to results in terms of quality and costs–results that are mixed at best–medical professionals have found that ACOs are exceedingly difficult to implement. Research by the Medical Group Management Association found implementing and/or optimizing an accountable care organization was one of the top five challenges for members, with 60.2 percent of respondents to one survey saying implementing ACOs was one of the biggest challenges, making it the fifth most challenging issue overall. In fact, of 44 issues facing medical practices, the top challenge for Medical Group Management Association members was preparing for new reimbursement models that include greater financial risk for practices. There is another reason for caution. The reality is this: APMs as they currently exist are not available to all medical professionals. ACOs and PCMHs, two of the most common APMs are primary care-based models that have yet to encompass specialty care. 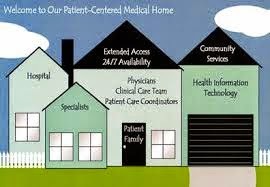 Given the complex compliance requirements, physicians in smaller practices and rural settings will find it financially and administratively difficult, if not impossible to participate, leading more doctors to forgo private practice, exacerbating the trend toward market consolidation. Granted, fee for service may have its flaws, but before blindly pushing Medicare doctors and other medical professionals out of fee for service and over the cliff, the Obama administration should be sure they have a safe place to land. The Brave New World of APMs may not be the panacea that Team Obama seems to think it is. The current, previous administrations and congress failed to anticipate administrative barriers to proposed programs. John O’Shea is a senior fellow in the Center for Health Policy Studies at The Heritage Foundation. He has been a practicing general surgeon for more than 20 years, and was formerly a senior health policy advisor for the House Committee on Energy and Commerce. Congress has a habit of passing laws that cost physicians a great deal of money. 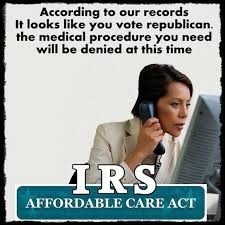 During the past ten or more years congress has mandated expensive electronic health records, formation of expensive organizations (accountable care organizations), affordable care act, and less well known regulations ostensibly designed and marketed as cost saving methods. All the while these changes actually increase the cost of physicians to deliver the same care while increasing the volume of patients in order to compensate for this increase in overhead. The predicted improvement in efficiency has actually led to an average increase of one or mo re hours per day in the clinic. The length of each patient encounter has increased several minutes, and at the end of the day sometimes one hour to complete records. Physicians have been turned into clerks. In order to receive reimbursement physicians must bill electronically, and submit to a strict set of rules for meaningful use. The term meaningful use is a misnomer applying to data that can be analyzed by third parties to be analyzed. But that is another story. 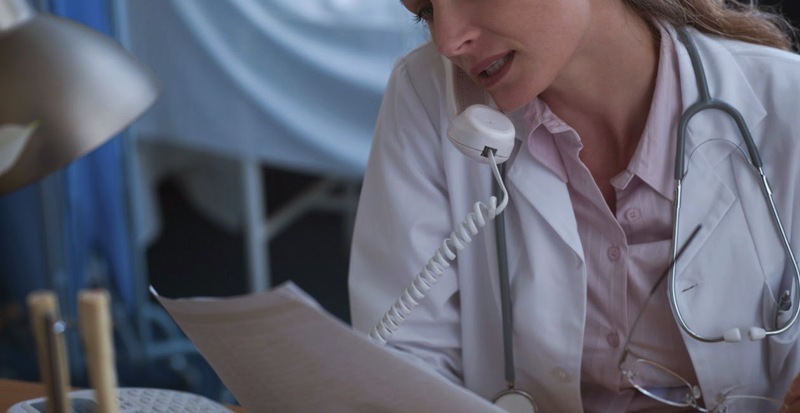 During the past several years a constant barrage of mandates, EHRs, Meaningful use, and others have increased work load for physicians and staff alike. Hospitals are also involved in the changeover. These demands have convinced many physicians to join groups, sell to a hospital, or retire. Overall, earlier retirement, or changing to part-time work is reducing the number of physician work hours, seeing patients. "Doctors in their day-to-day practice already face a mound of federal regulations. Now, starting Oct. 1, doctors will face a new unfunded mandate as they will be required to transition to a costly and complicated coding system for payment. While the International Classification of Diseases (ICD) system was originally designed specifically for disease classification, since the 1980s, public and private payers alike have required that health care providers use the ICD-9 system when they file reimbursement claims. If, for instance, you go to the doctor’s for treatment for the flu, the doctor’s office will use the ICD code for flu when billing your insurance. But unless Congress acts, the current ICD code will be replaced Oct. 1 by the vastly more complex ICD-10." As many as 25 percent of physician practices are not ready for the new ICD-10 system. "However, what about private practices, hospitals, state governments and the Centers for Medicare and Medicaid Services? Are they ready? What seems to have been ignored, however, is the twenty of 28 stakeholders contacted by the GAO that had serious concerns about the Centers’ outreach and education efforts as well as the lack of adequate testing. According to the congressional testimony of Dr. William Jefferson Terry, a practicing urologist in Mobile, Ala., as many as 25 percent of physician practices are not ready. Although this is a numerical minority, they cannot be ignored. Many of these practices are small, independent practices in rural locations with narrow operating margins. If faced with substantial reimbursement disruptions due to ICD-10, they may be forced to close their doors and they will not be easily replaced. Moreover, as of November 2014, only two Medicaid programs had tested the system and another 23 are still updating their systems and not yet able to begin testing, according to Robert Tennant, director of health information technology policy for the Medical Group Management Association. If a state government isn’t ready for the transition, doctors will not be reimbursed for seeing Medicaid patients. So, the benefits are vague and long-term, while the financial costs of investing in software programs, hiring and training new staff and productivity losses are real, immediate and quite large. The reality of medical practice is that doctors do not treat codes; they treat patients according to the individual clinical condition. A doctor gets far more meaningful information from talking to the patient and consulting their medical record than they could ever get from the most detailed coding system. Therefore, doctors, who will bear the majority of the burden of transitioning to ICD-10 will see little, if any, benefit in treating patients on a day-to-day basis. Given the disastrous roll-out of Obamacare, the already burdensome impact of the reams of federal rules and regulations imposed on doctors and other medical professionals, and the fact that many medical practices are not ready, Congress should be careful when considering imposing another unfunded mandate on the medical profession." The administration of the Affordable Care Act has taken five years to implement with a disastrous HIT failure of the national HIE web sites, and the recent announcement of the IRS snafu effecting millions of taxpayers. All total, nearly 1 million people may have delayed refunds due to bad forms 1095-A. It’s not an auspicious beginning for Obamacare’s big tax debut: this is the first year that Marketplace premiums are linked to tax returns. Drug cost tiering is common to control the use of expensive pharmaceuticals by passing on the higher expense with higher co-pays and/or deductibles. California lawmakers are considering a bill (AB 339) that aims to keep prescription drug costs down by limiting which medications insurers can include in the highest-cost drug tier, Capital Public Radio's "KXJZ News" reports. AB 339, by Assembly member Richard Gordon (D-Los Altos), would prevent insurers from placing all of the prescription drugs to treat a certain condition in the highest-cost tier of a drug formulary. According to Gordon, insurers often place high-cost medications into such specialty tiers, which forces patients to pay a larger share of the prescription drug's price. For example, Gordon explained that if "all of the HIV drugs are in a very expensive top-tier category, that would appear to be discriminatory" (Bartolone, "KXJZ News," Capital Public Radio, 2/18). The California Department of Managed Health Care and Department of Insurance to define by Jan. 1, 2017, a "specialty prescription drug" category that would be subject to limitations (AB 339, 2/13). Nicole Kasabian Evans with the California Association of Health Plans said the bill could be misleading, noting that patients pay higher shares of specialty drugs because they often are very expensive. She said, "Bills like this give a false sense that drug costs are going to be reduced, when in reality costs are just shifted from your out-of-pocket costs to premiums." Health insurers also contend that out-of-pocket costs already are capped under the Affordable Care Act. They say a better way to address high prescription drug costs would be to have drugmakers be more transparent about how prices are set ("KXJZ News," Capital Public Radio, 2/18).